Waimea Outdoor Circle's 16th annual plant sale will be held 8 a.m. to 2 p.m. April 28 at Kuhio Hale, Hawaiian Homes Hall. This is one of the biggest plant sales on the North Shore, bringing together more than 20 prominent vendors featuring a wide variety of plants, shrubs and trees. A "plant doctor" booth will be set up for master gardeners to help buyers select the right plants for specific growing conditions. Events include a craft fair featuring garden art, yard and garden items, planters, pots and trellises. The regular Saturday Homestead Farmer's Market will have extended hours during the sale, with local farmers offering cut flowers, fresh Waimea vegetables and baked goods for sale. Stay all day and treat yourself to food prepared by several local caterers. Those wishing to participate as a vendor for the plant sale or craft fair should contact Donna Gardner at 885-3581 or Victor Obrastoff at 887-0500. Homeworks Construction will present a free Build New or Re-Do seminar 6 to 8 p.m. Tuesday at the new Ferguson Bath and Kitchen Gallery at 925 Kokea St. The seminar will cover all the basics of how to start up and finance construction of a new home or remodeling project. Featured seminar speakers include Jim Byxbee of Homeworks, kitchen and bath designer Marshall Hickox, Fred Weihmiller of GMAC Mortgage, Ruth Chang of Ferguson Appliance and Al Villahermosa of AMV Air Conditioning. Certified "EcoBroker" Suzanne Malia Yen of Caron B Realty will discuss how "green-built" homes save money and attract buyers. For those planning to build their own dream home, Caron Hill of Caron B Realty will provide the latest information on vacant land, tear-downs and fixer-uppers listed for sale on Oahu. Following their presentations, speakers will be available to meet with guests in one-on-one sessions to discuss individual projects. Guests are invited to bring project plans for review. The consultations and literature provided by the participants are free. For reservations, call Homeworks Construction at 955-2777. Learn to mine "gardener's gold" when Evelyn Giddings leads a hands-on workshop on making compost, 10 a.m. to noon April 28 at the Green House, 224 Pakohana St. in Pauoa Valley. The class will build a compost pile, harvest a pile that is ready to use, and learn to utilize the fresh compost. 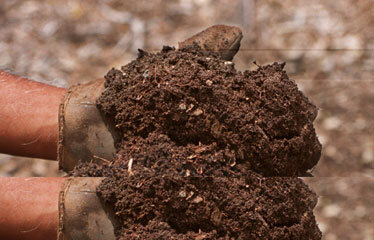 Composting involves a balanced recipe of ingredients mixed in a pile. As the mixture breaks down, it generates heat, which speeds up the process and transforms it into finished compost. This "gardener's gold" is known to be a perfect medium for sprouting plants and produces food of higher quality than ordinary soil. A detailed booklet of composting methods will also be provided. Cost is $15. To register, e-mail thehawaiigreenhouse@hawaiiantel.net or call 524-8427. The Green House is holding a class on making compost April 28. Considering all the scary news about certain commercial pet foods, many pet owners are making their own. Need some help? Dr. Ihor Basko, president of the Veterinary Botanical Medical Association, will teach "Food As Medicine: Cooking for Your Dogs" on May 1 at Kapiolani Community College. The class will cover preparing cooked and raw dishes, and the balancing of yin and yang in food preparation. Basko is an educator in holistic animal health who hosts "Pets in Paradise" on Kauai radio station KKCR. The class will run from 6 to 9 p.m. in Ilima Room 202. Cost is $50, which includes notes, recipes and refreshments. Call (808) 822-4229 (on Kauai).